Programmable high and low alarm thresholds. All data is recorded to built-in, non-volatile memory). EasyLog Data Loggers do not lose readings when the battery is discharged or replaced. Monitor and Record Heating, Air Conditioning Equipment (HVAC). Manufacturer : Lascar Electronics Lascar K, J, T Type Thermocouple Logger with Direct USB Connection and Alarms. 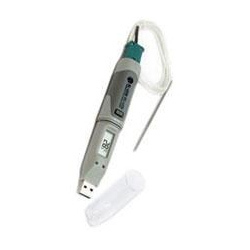 The USB Thermocouple data logger accepts any Type K, J or T Thermocouple wire. Depending on the thermocouple, the logger can measure and record temperatures from -200°C to 1300°C. Using the software, thermocouple type, thermocouple calibration, sampling rate, start-time, logging mode, and downloading and analysis of data can all be performed. 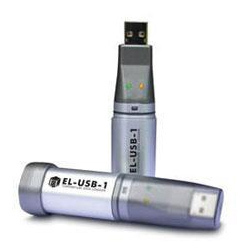 The data logger features a user-replaceable battery, high and low alarm settings, LEDs to show status of logging and usb interface for fast data download.